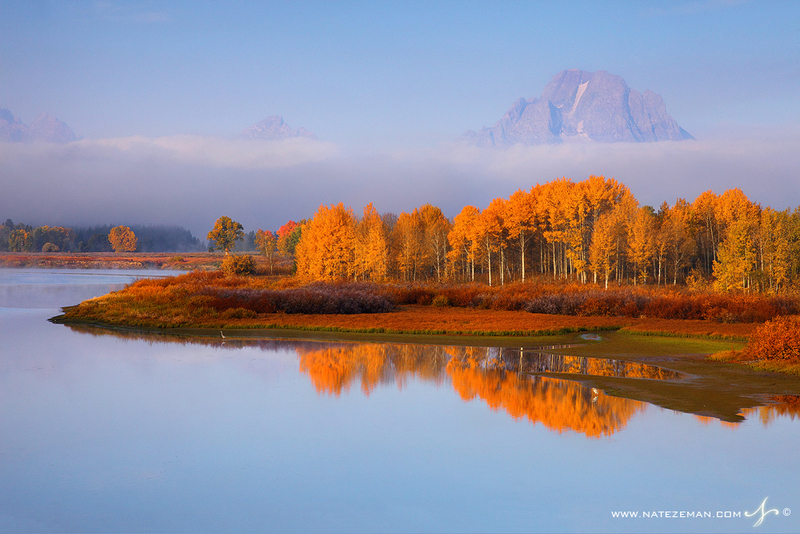 A thick layer of fog drifts through the Jackson Hole valley on a perfect autumn morning. Two great blue herons stand in the glassy water below Mt. Moran hoping to catch a morning meal. The aspens that complete this scene are adorned in their September's best.